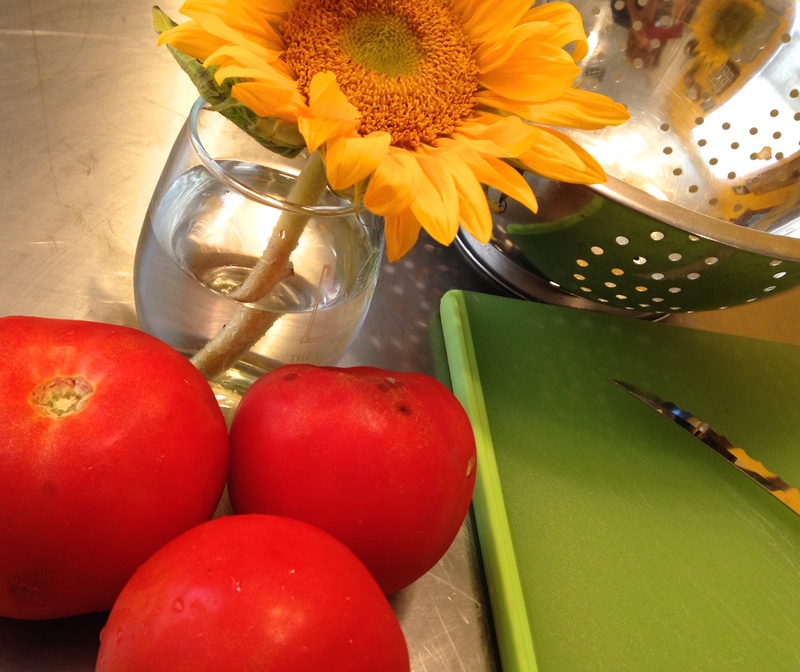 Here come the tomatoes. And we’d better be ready. They will appear at the table in all their savory guises– or all alone, by themselves, because that’s usually all that’s needed. 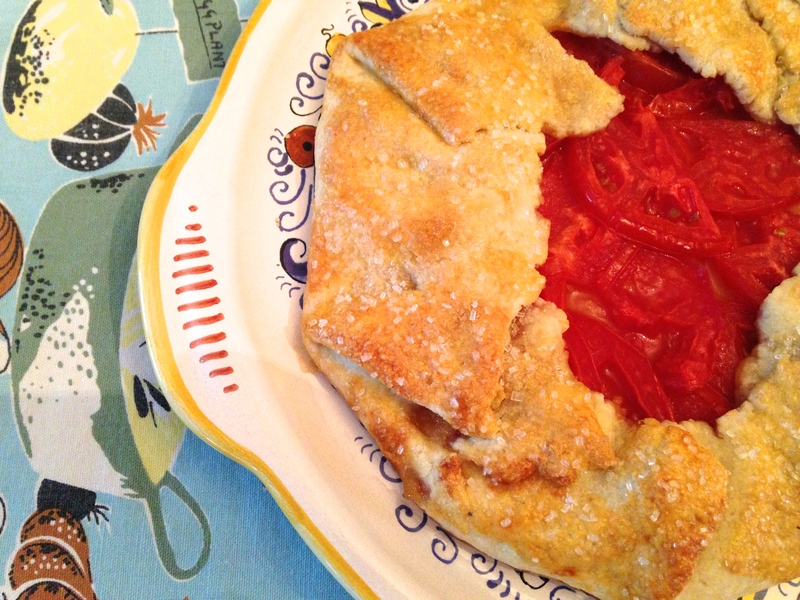 But here’s a sweet twist on tomatoes. I offered up something similar in culinary school for a student contest. Made it to finalist. But now many years later I think I’ve perfected it even more. It’s a surprising taste. 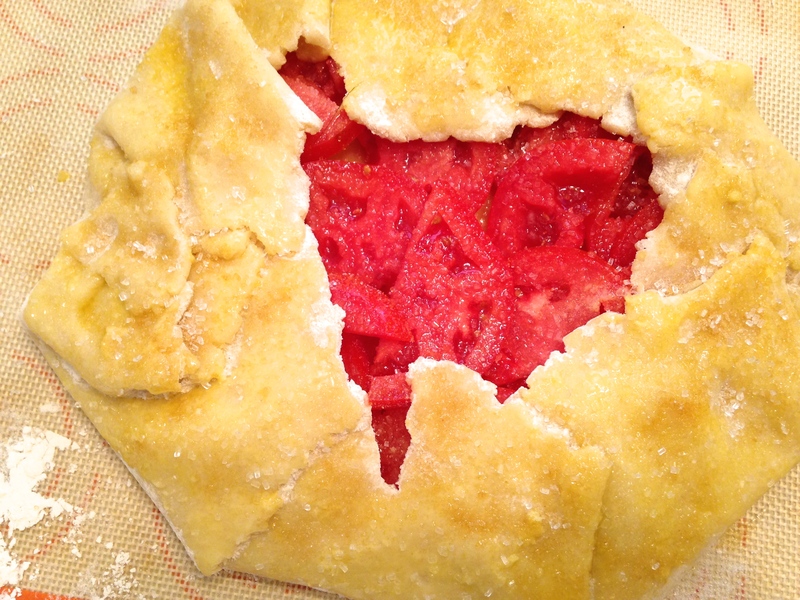 Sugar and Tomatoes. A taste you’ll cherish from now on. 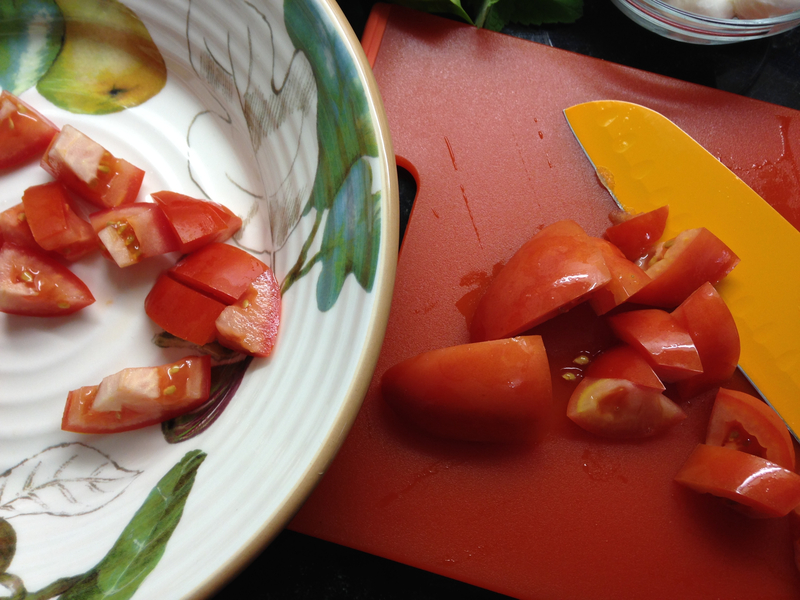 I start with 2 medium tomatoes, sliced about a 1/4″ thick into half-moons. 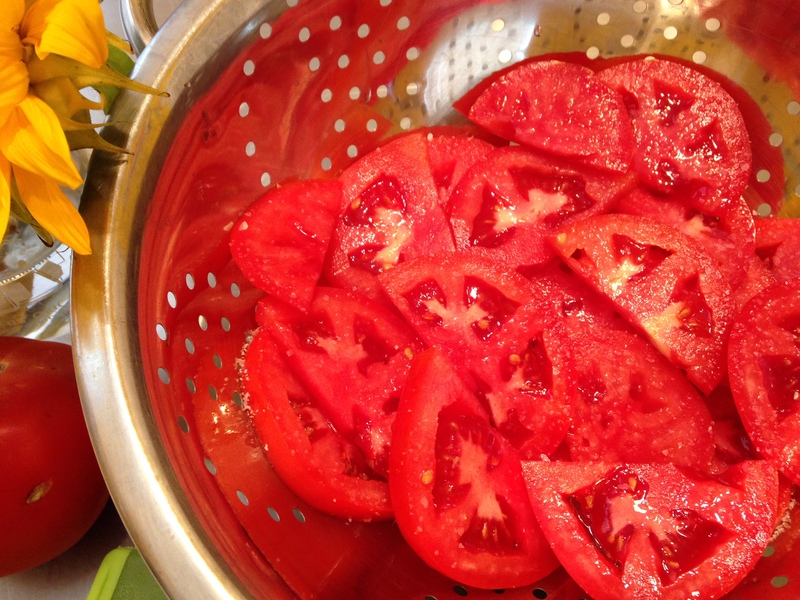 Lay them out in a colander and salt them well. Let them release some of their juices for about 1/2 hour. Then I make my favorite tart pastry recipe. (See below.) 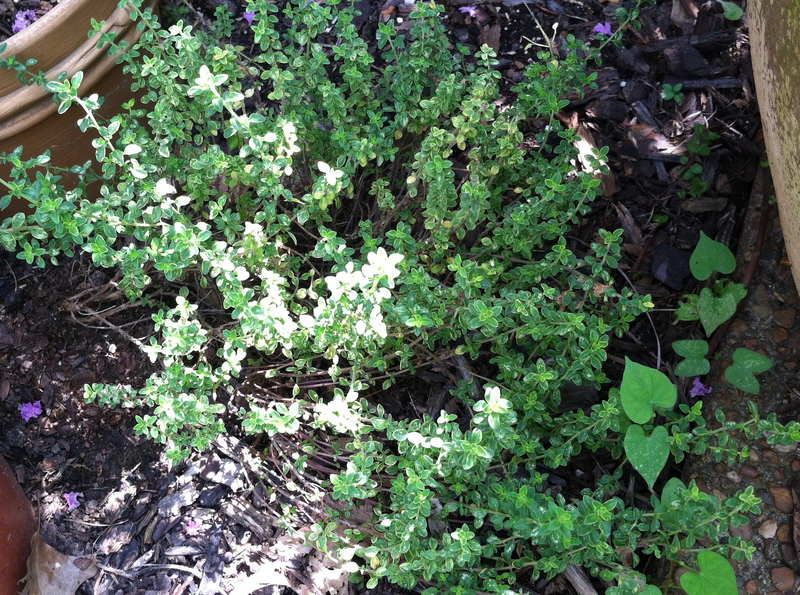 Roll it out into an informal circle. Then move it to a parchment or silpat-lined pan. Drizzle a light layer of honey. 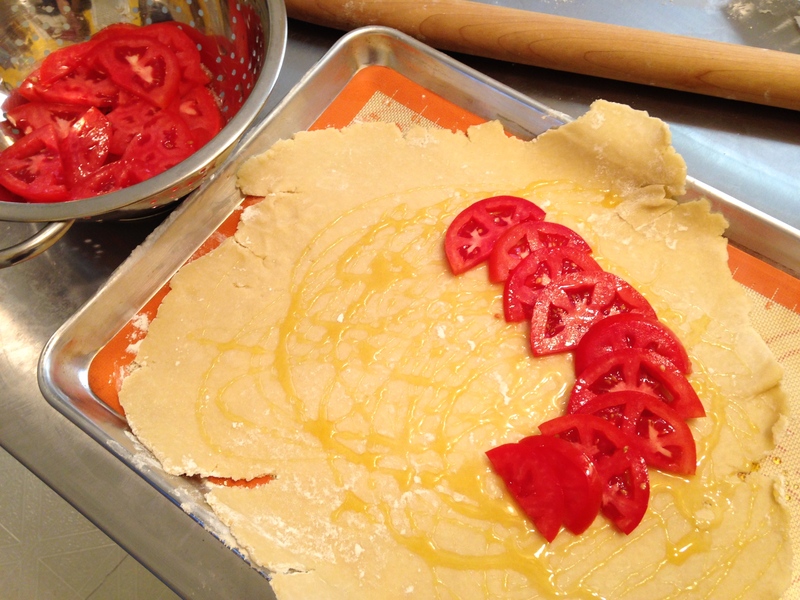 And start laying out the tomato slices in a circular pattern. Filling in the center. Then sprinkling with sugar. I used Demerara sugar and white sugar, but use your favorite-tasting sugar. Sprinkle more sugar over the dough. Here I’ve also added some sparkling finishing sugar. You need a good amount of sugar. That’s what makes the tomato flavor pop in this not-usual direction. Bake for about 35 minutes in a 375 degree oven until golden. Let it sit a bit before slicing. 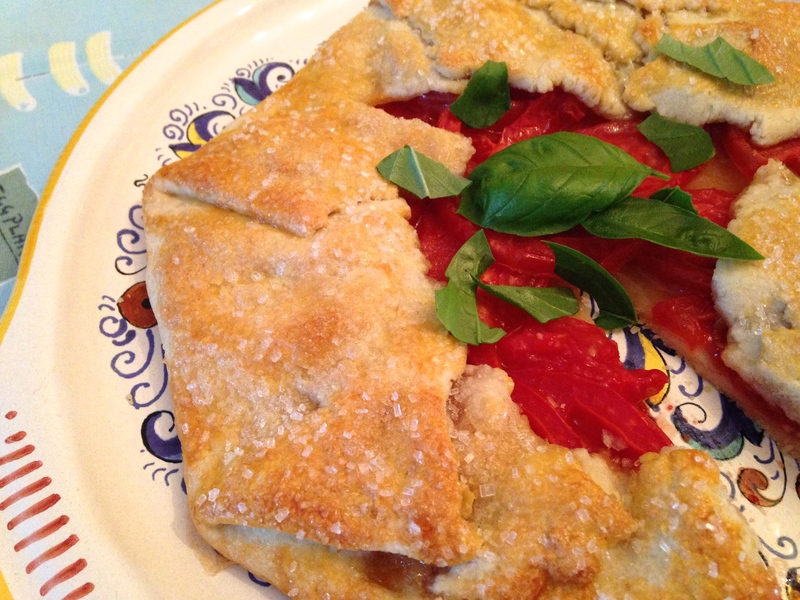 Sometimes juices accumulate in a puddle around the tomatoes when you first take it out, but then absorb into the galette as it cools for a few minutes. 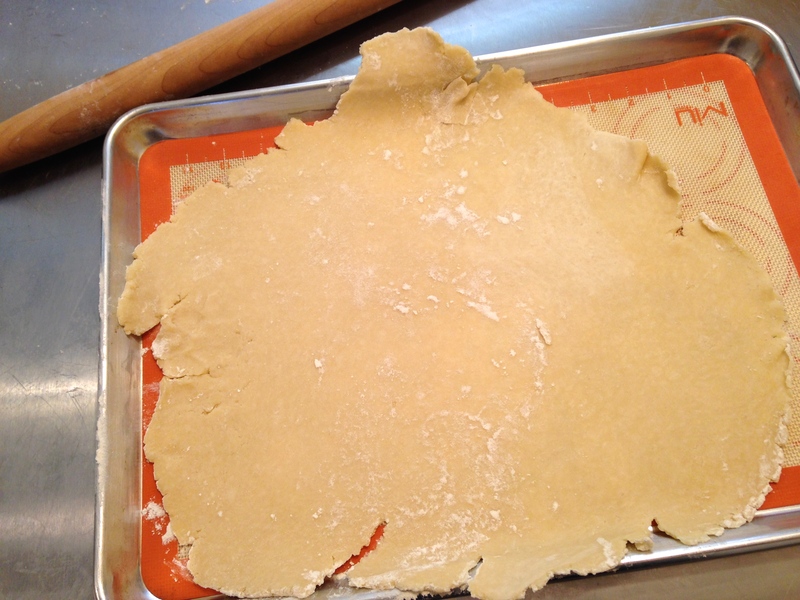 Make the pastry: Add the flour, sugar, salt and butter to the bowl of food processor. Pulse until the mixture is crumbly with small pea-sized pieces. Add wine. Pulse until mixture comes together as a dough. 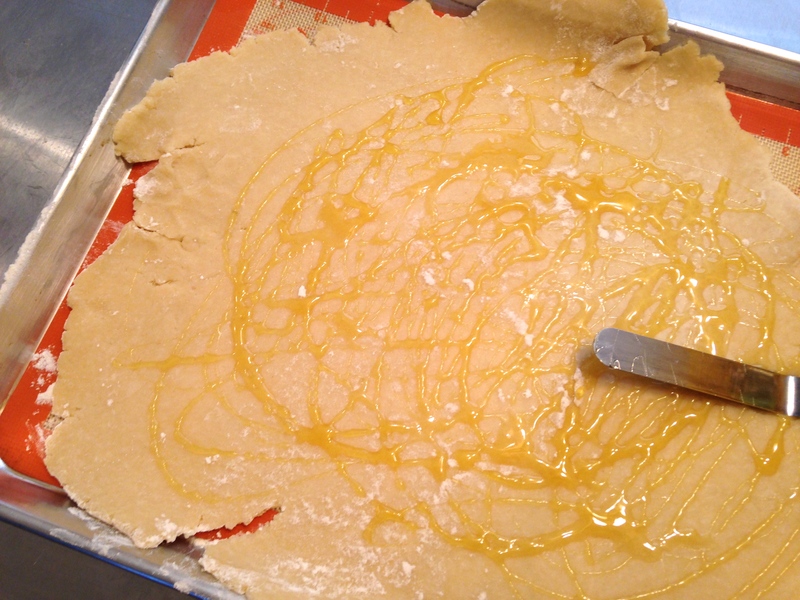 Turn dough out onto a work surface and press together into a thick disc. Wrap in plastic and refrigerate for 30 minutes-1 hour. Remove dough from refrigerator. 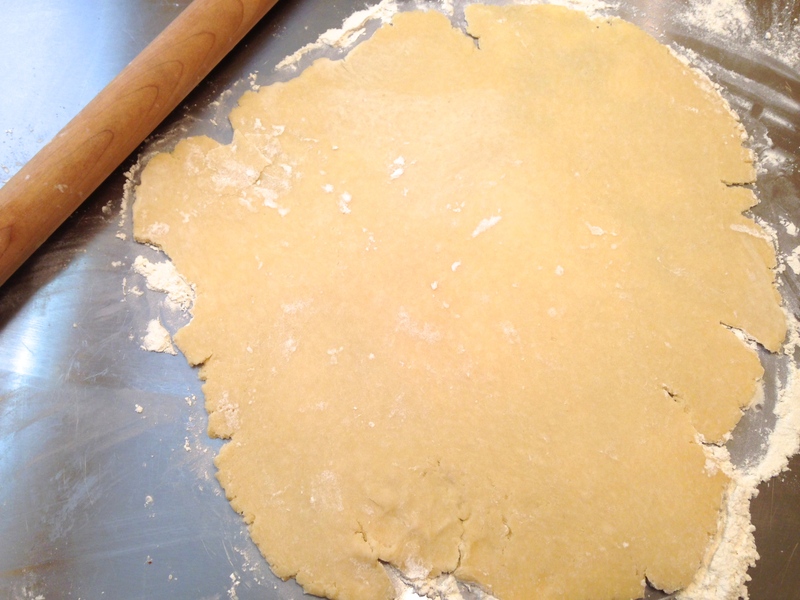 Roll it out into an informal circle on a lightly floured surface to about a 1/8” thick. 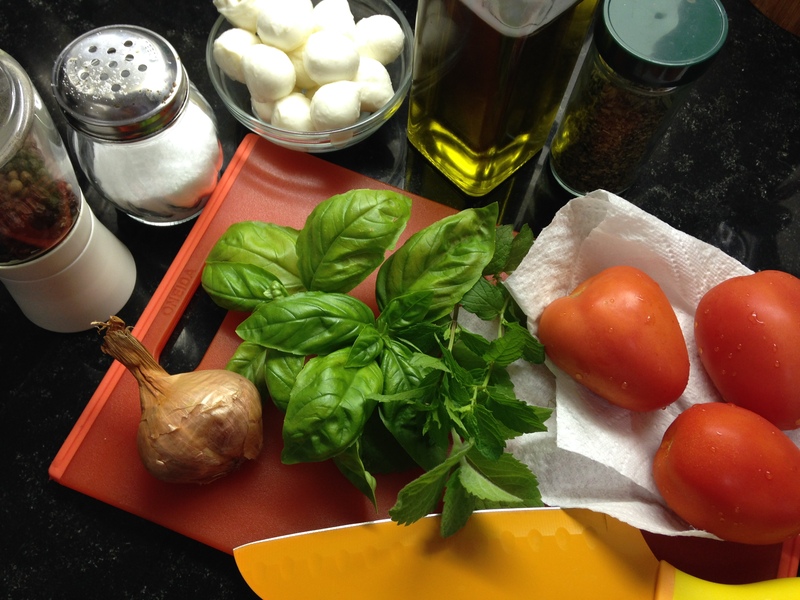 Move to a parchment or silpat-lined sheet pan. Drizzle honey evenly over surface. 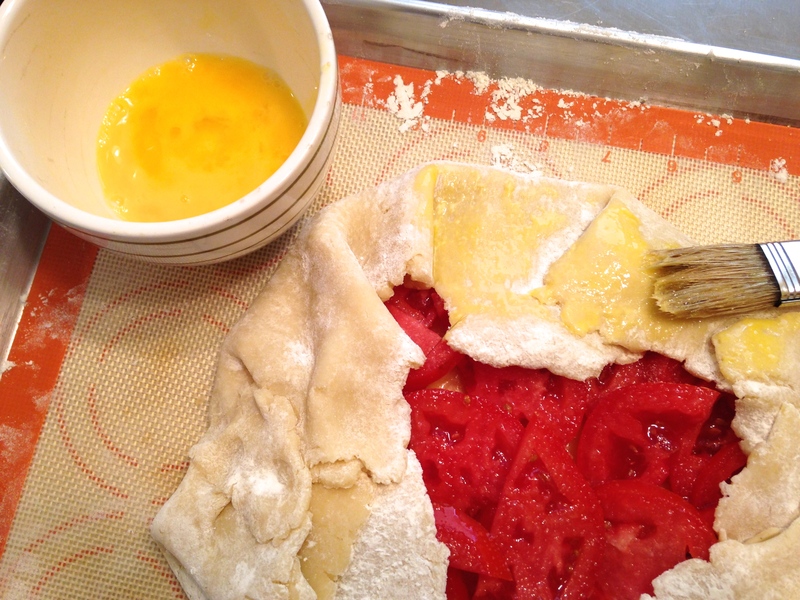 Place tomato slices in an overlapping circle, leaving about a 2-inch border of dough. 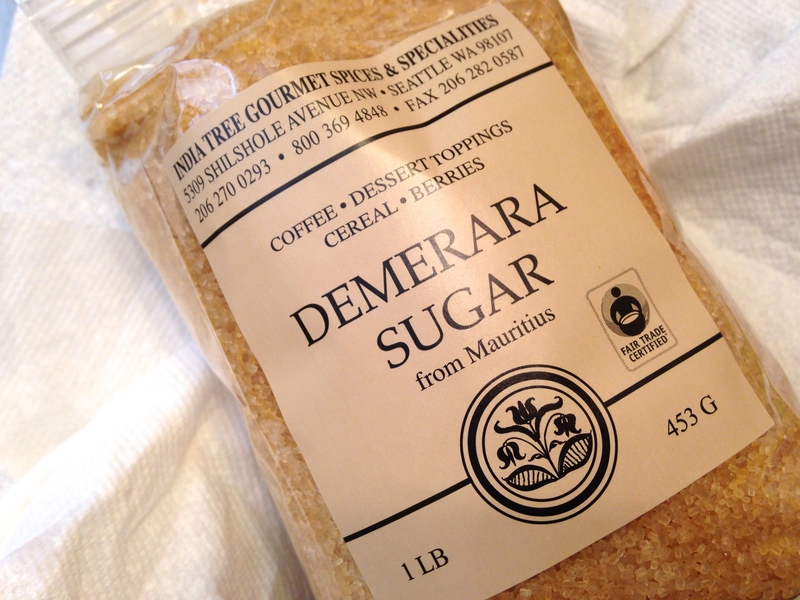 Sprinkle with Demerara sugar, and white sugar. 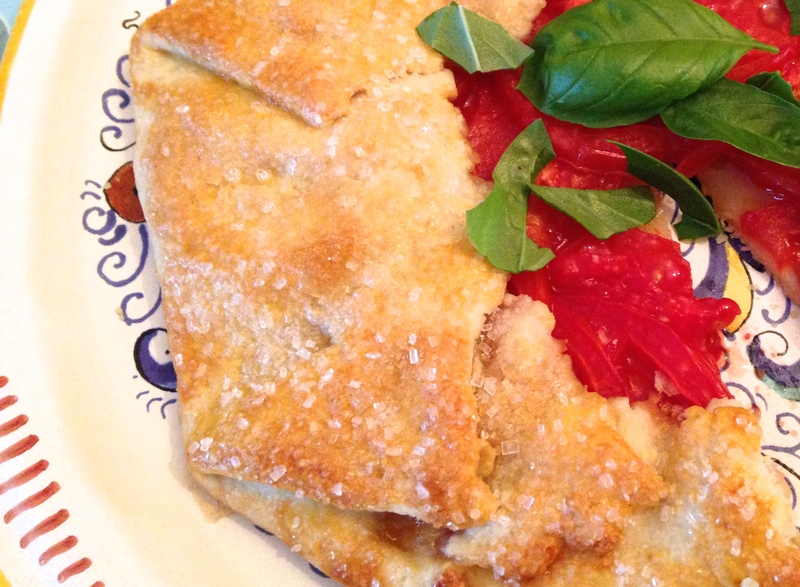 Fold in edges of the dough, overlapping. Brush dough with egg wash. Sprinkle more of both sugars over dough and the sparkling finishing sugar. Bake for about 35 minutes until golden. 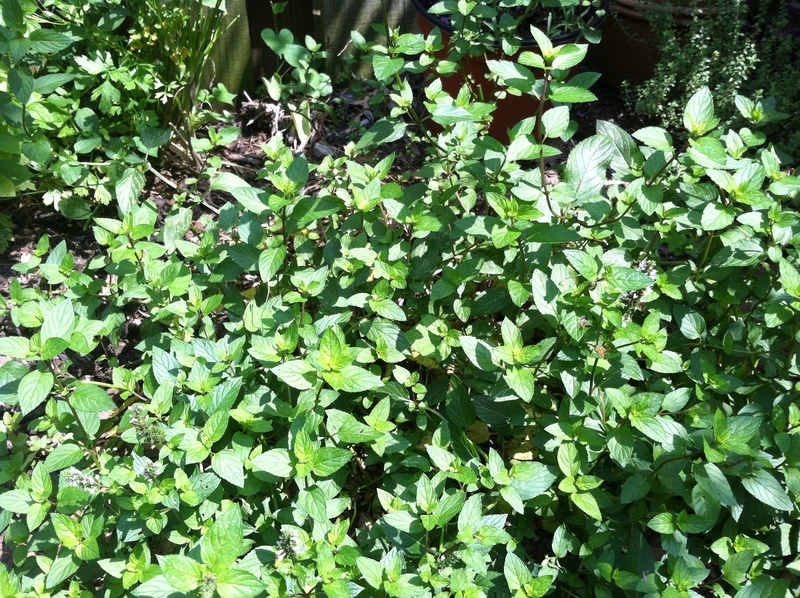 When cooled, sprinkle with basil leaves. 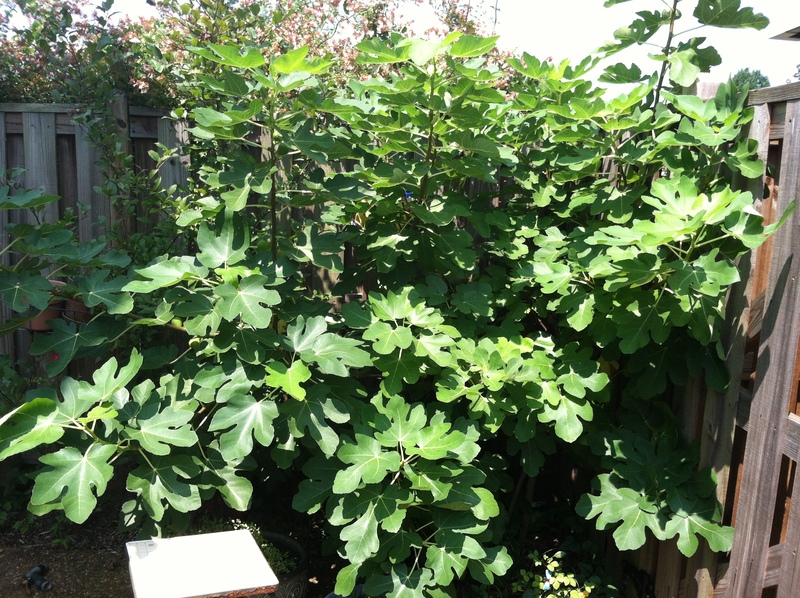 Actually, this salad can be as big as you’d like. The only “mini” about it is the size of the ingredients in the bowl. 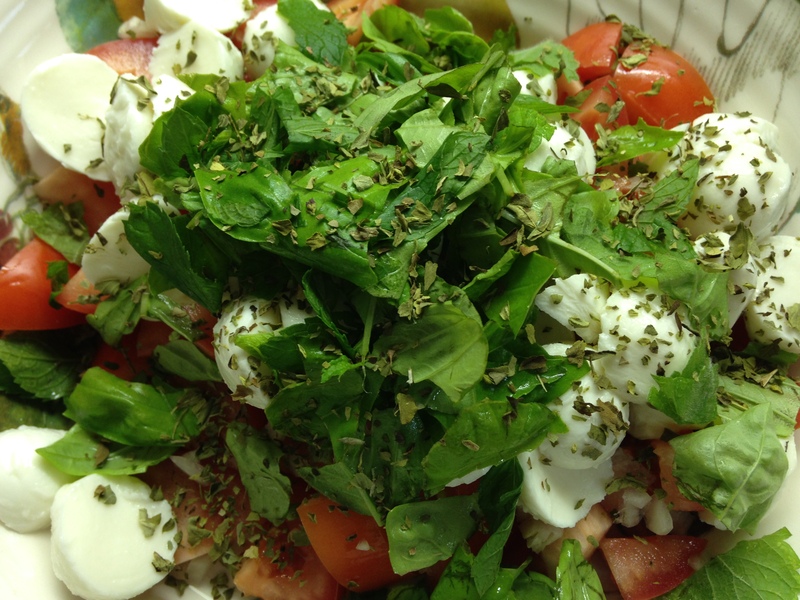 Usually Caprese salads are nice big slices of tomatoes and mozzarella alternating on the plate like a splayed deck of cards (ready for a fancy trick-pick a card, any card…um, queen of tomato?). But this one puts it all in a bowl in bite-sized pieces. You don’t need a knife to eat it (but a fork is useful). 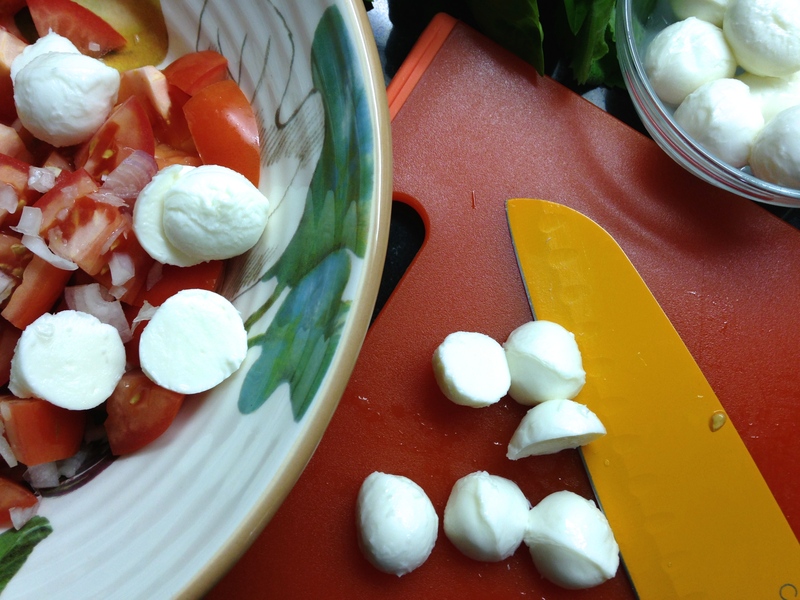 I’m combining the usual Caprese ingredients–tomatoes, mozzarella, basil–with a couple of other ingredients that used to satisfy my after-school snack desires: shallot & dried oregano. 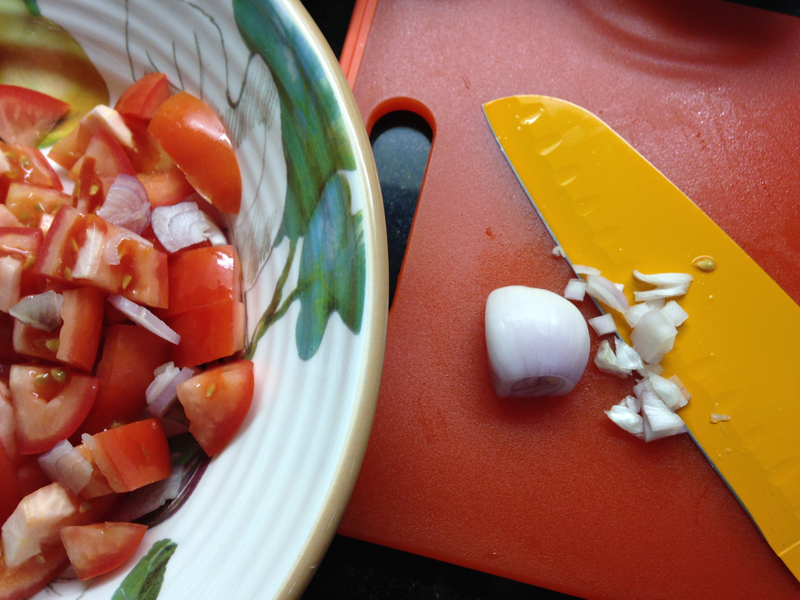 A fav dish of mine in that nowhere time zone of school-day-done-and-dinner was cut up tomatoes, diced yellow onion, dried oregano, olive oil and salt & pepper. I can still wolf down that concoction without blinking. 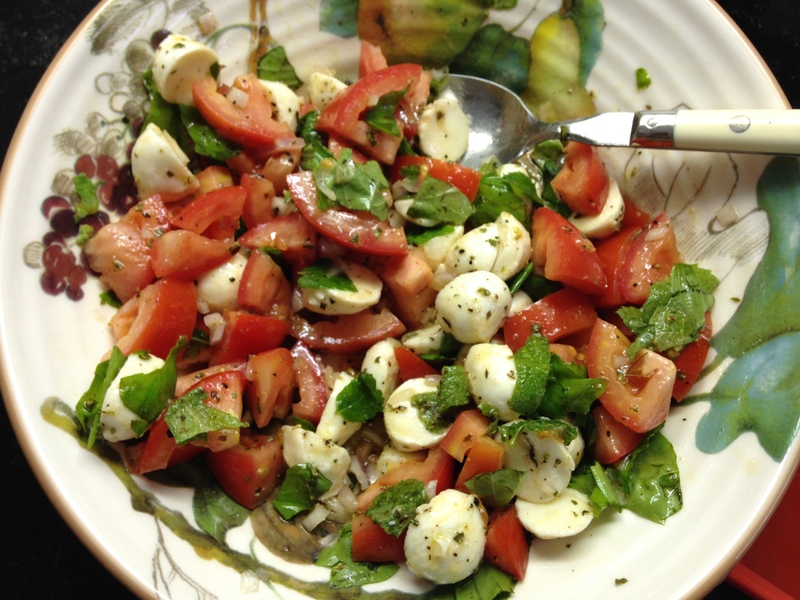 Of course, you know what “Caprese” means? Capri. As in the isle of Capri. Off the coast of Amalfi. 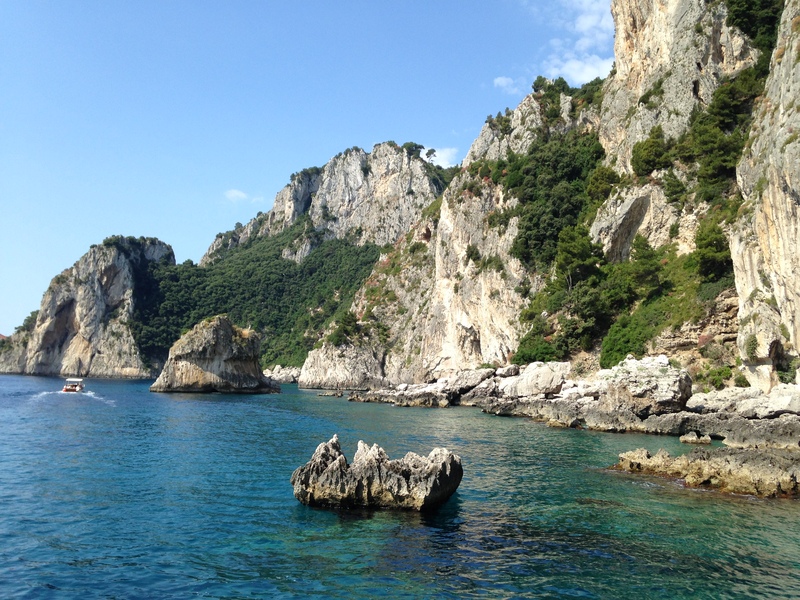 One of those wowza places that sings siren songs in your head unexpectedly (like when you’re eating cheerios for breakfast or walking in a parking lot or doing the laundry–events that have nothing to do with the isle of Capri and so that’s its magic: it shows up anywhere). I was just wandering that island last June. The streets were filled with tourists (doesn’t matter, it’s still phenomenal), the shops were dripping with everything you want to buy, the scenery takes your breath away so you have to stop to breathe every other step. On our approach to Marina Piccola by boat we slipped through the Faraglioni “rock islands” and felt like a visitor to another (beautiful) planet. Drizzle of olive oil, salt & pepper and you’re in the land of yum…(just shy of the Tyrrhenian Sea by a few thousand miles but your taste buds just might be fooled). The humid heat finally broke here in Nashville. 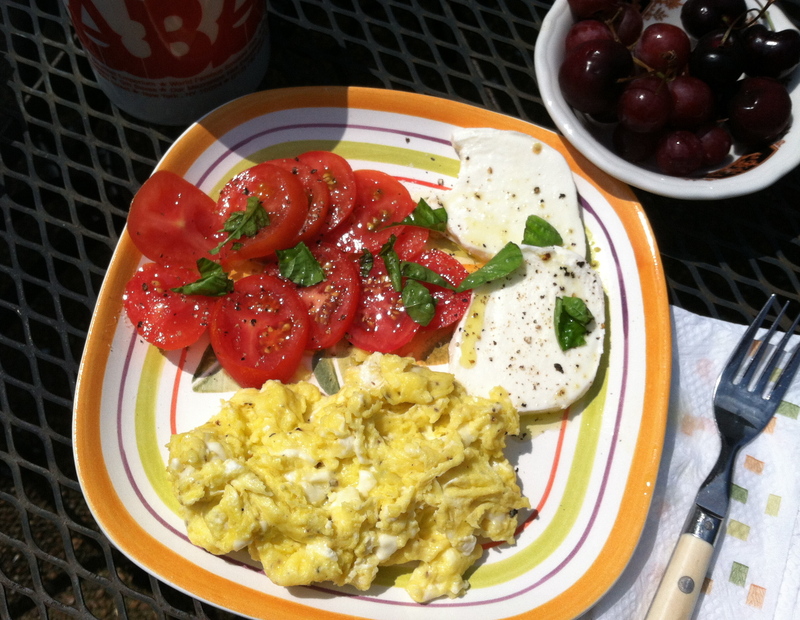 I can have breakfast on the patio while working on menus for my fall cooking classes. This time I’ve tapped my mom’s culinary imagination for suggestions. She makes suggestions on a daily basis anyway letting me know how she cooked the sausages, or eggplant, or mozzarella we bought together the other day. My simple, yet perfect, breakfast that I’m eating out here this morning has her influence, too. 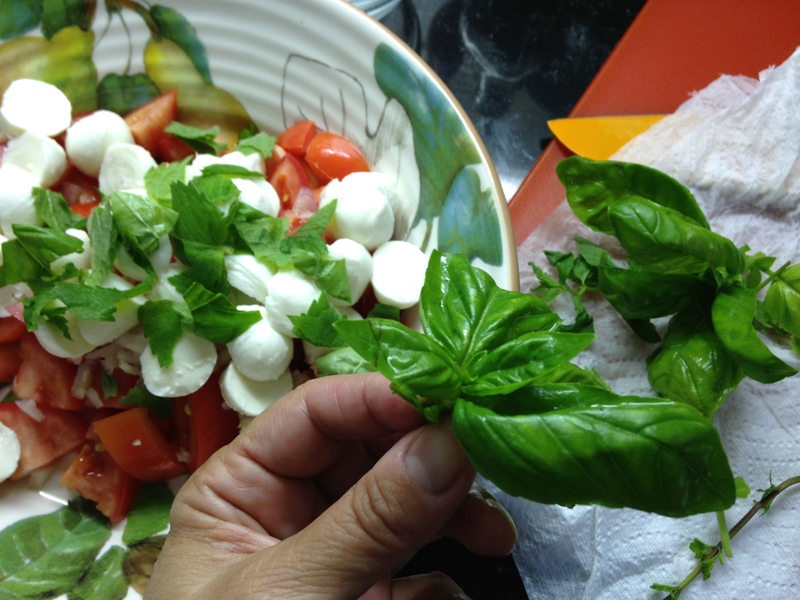 With my scrambled eggs packed with feta cheese, I’m having beautiful fresh mozzarella and sliced campari tomatoes with basil from the garden, from a plant growing right across from me. 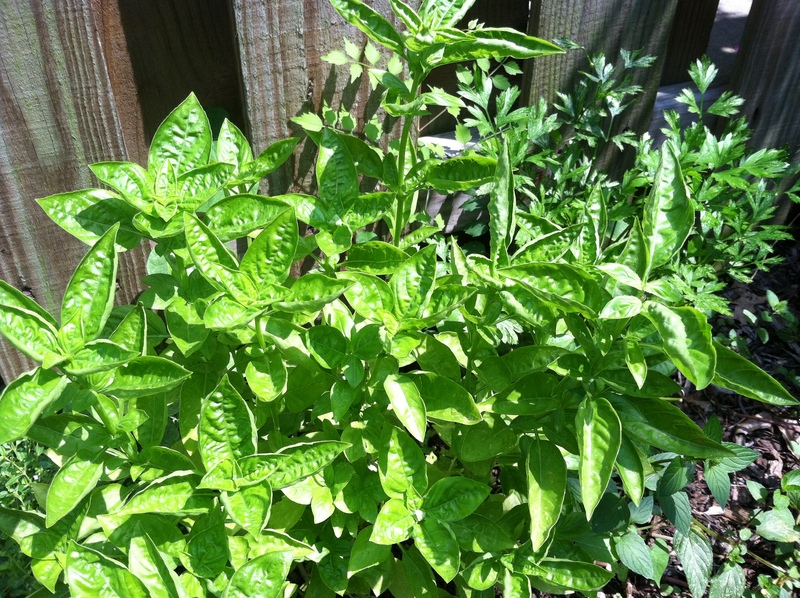 Mom, garden, cool but-still-summery weather: perfect inspiration for my fall menus!